4.2 REACH: "No Data, No Market"
4.2.2 How Does REACH Affect the Cosmetics Industry? 4.2.3 How Will REACH Work? 4.3 What Should Companies Be Doing Now? 5.2 Globalization: "One Size Does Not Fit All!" 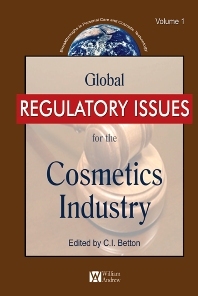 5.4 The Global Launch: "Driving with Insights and Regulations"
9.4 What are the Human Health Risks of Nanotechnology and Nanomaterials in Personal Care Products? 9.5 What are the Environmental Risks of Nanotechnology and Nanomaterials in Personal Care Products?